This card is all about tags and layers. 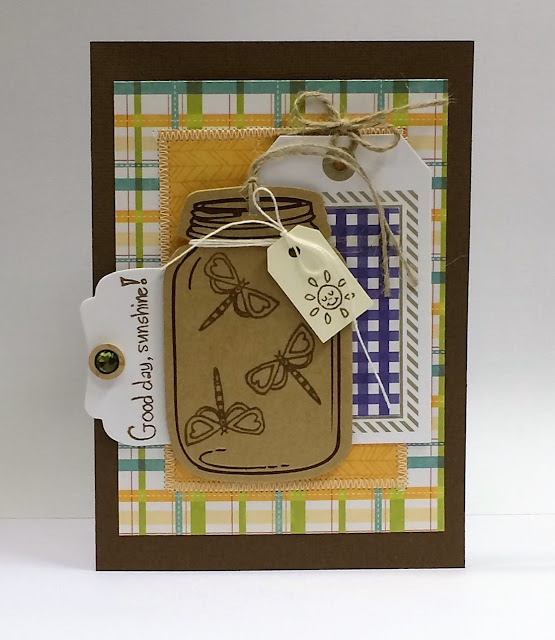 Four different brand new tags and stamps from Hampton Art and some Jillibean Soup papers added in for a simple summer feel. 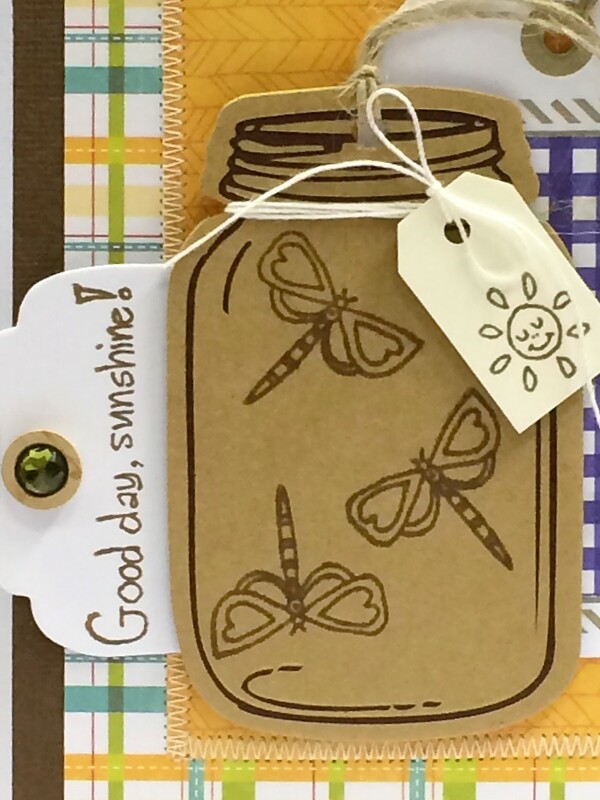 I really love this kraft mason jar tag, I thought some dragonflies would look good inside the jar, so I stamped three in brown ink. 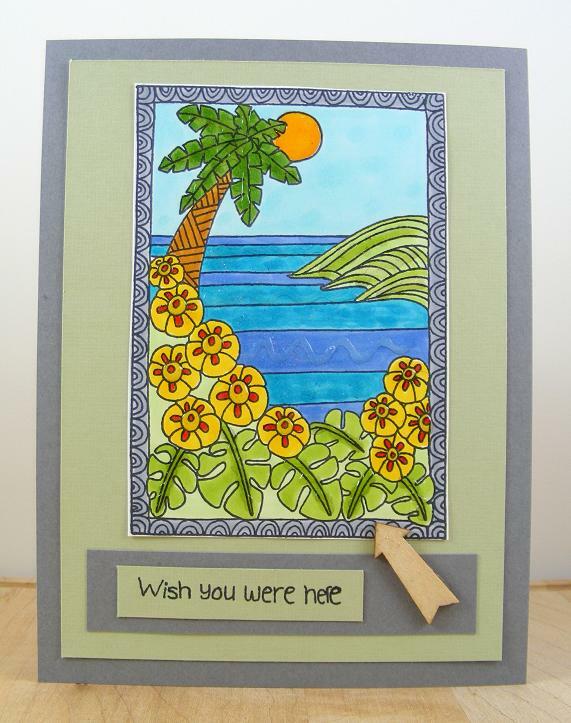 Then I added a plain cotton string around the rim to add the small tag with the sunshine stamp, also in brown ink. Next I added the navy gingham to the center of the Letterpress tag for a little more color and that tag twine I tied into a bow. The fourth tag was the other half of a deco tag that I had used on a separate card this month. I stamped the sentiment in brown ink onto it as shown. I think the result is a country fresh card, perfect for bringing sunshine to any day. Here is a friendly card suitable for a new neighbor. These new Hampton Art clear stamp set has really fun coloring book style images to stamp. 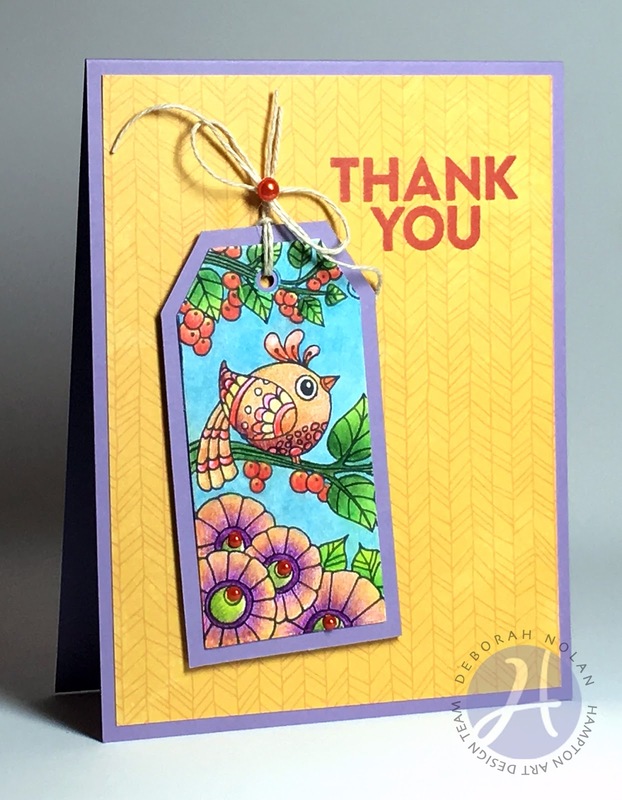 This card began with a gray woodgrain background paper and then I stamped the image directly onto watercolor paper in gray ink. Next I watercolor painted the image in a rainbow of colors and set aside to dry. 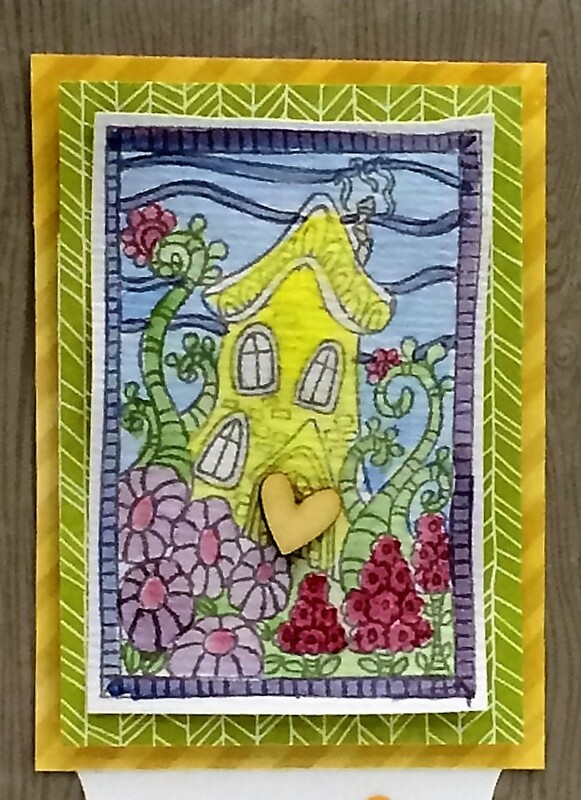 Then I cut to mats in coordinating colors to layer behind the cut image piece. 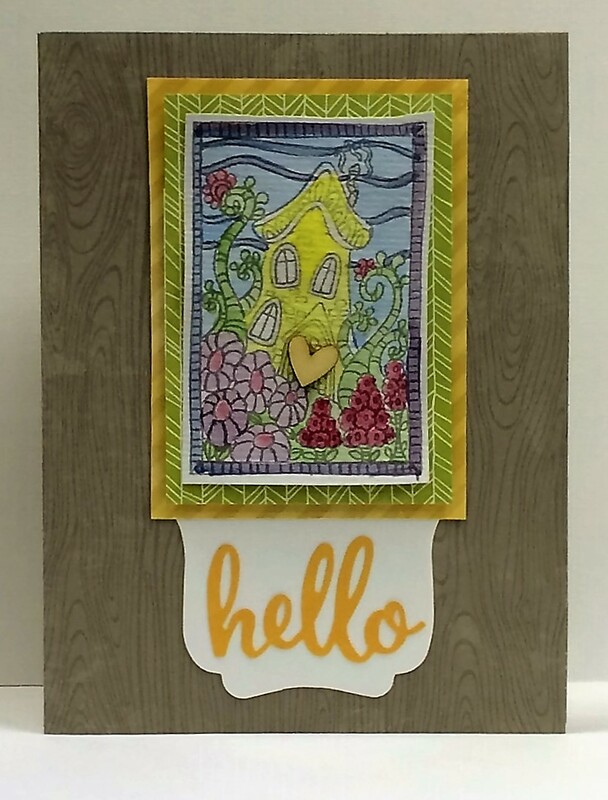 I then grabbed a brand new deco tag in white and added the ‘hello” sticker from the Mushroom Medley collection sticker set. I cut the tag in half and attached as shown. Last I added the wood veneer heart onto the front door. 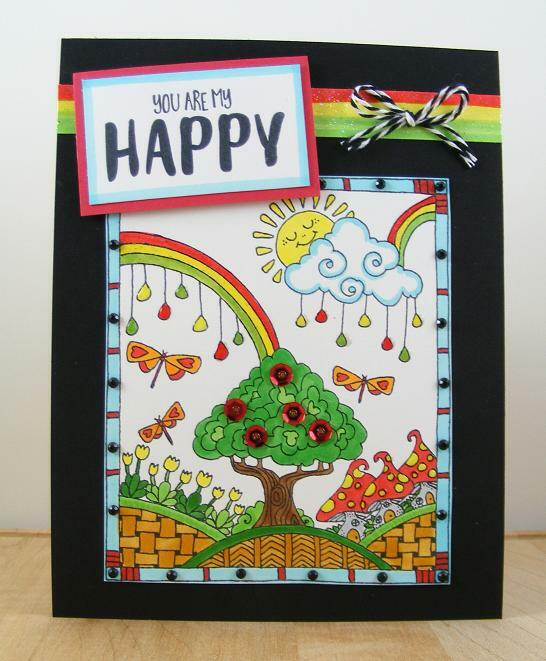 This card has a Dr. Seuss feel to it that I love, very playful and fun. It could be used for lots of different occasions too: housewarming, moving, adoption, encouragement, etc. Today we have a fun project sheet for a project that our designer, Kristine Davidson created awhile ago. The more and more we play with and introduce our Mix the Media products and projects to you, we want to get you guys the 'how-to' on the projects that may not be as obvious. With a black Sharpie marker, a stencil and our cute, burlap frame, you can create this customizable project for yourself or a friend! Great gift!!! Here's a link to the printable PDF (it's also on the left side of the blog under project sheets). Link to the .svg cut files. Link to the .studio cut files. Link to the .studio3 cut files. and a link to just a pdf of the cut file images for you to print and cut out yourself with a craft knife if you don't own a digital cutter. Other: Bazzill cardstock, Tim Holtz Tiny Attacher, Ink Memento Luxe. Other: Studio Calico mist, My Mind's Eye enamel dots. Today's card features some goodies from Jillibean Soup's goodies! 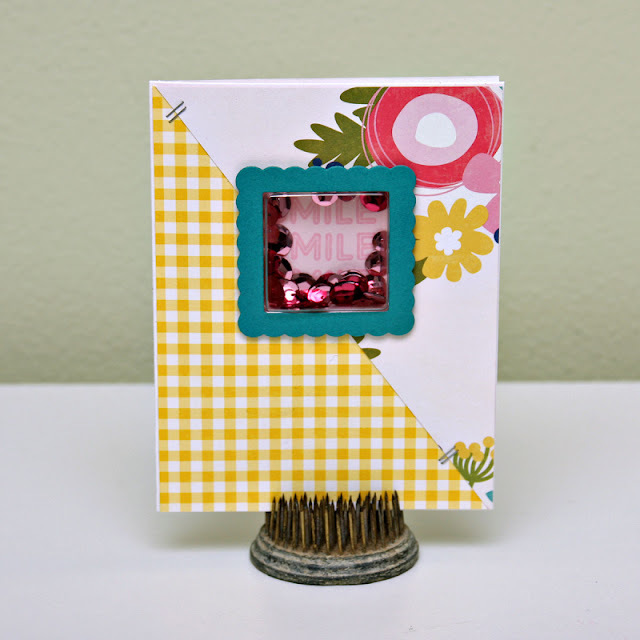 Make a 4.25” x 5.5” base from brown cardstock. 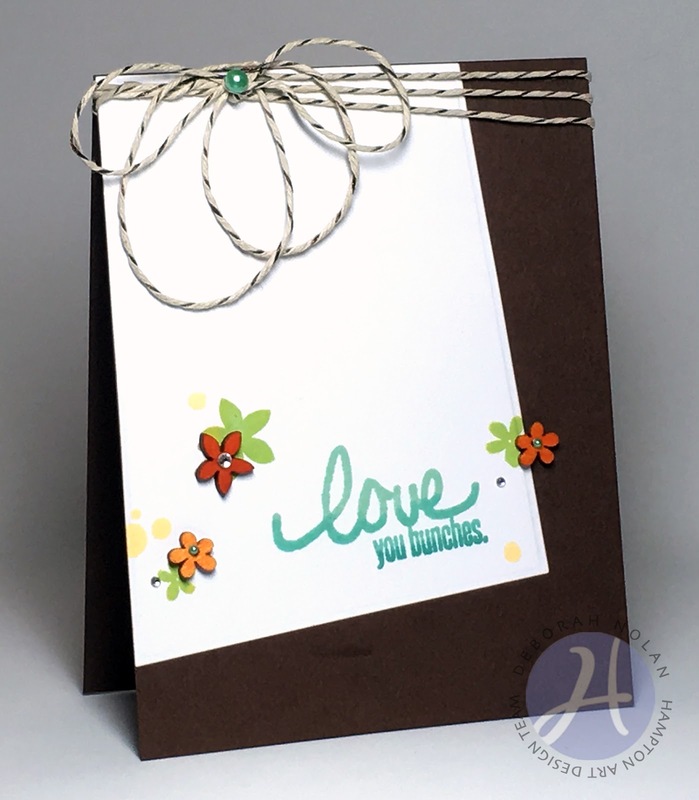 Wrap card three times with cord, tie into bow, loop loose ends and secure to card with glue. Color wood veneer shapes with Copic marker and adhere. 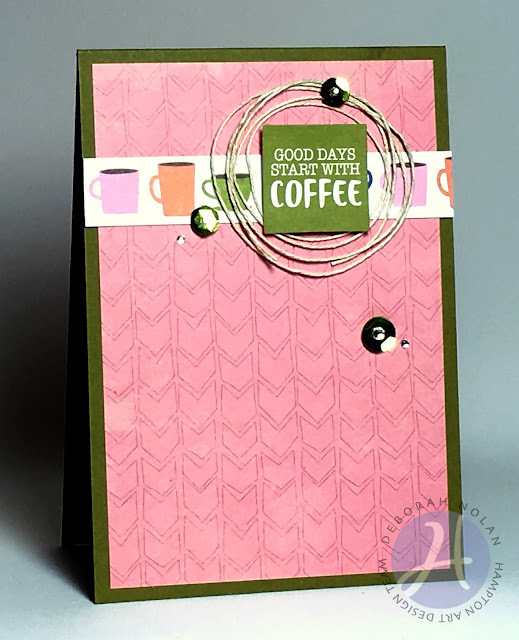 Today's card features some goodies from Jillibean Soup's Healthy Hello Soup collection and sequins! Make a 3.25” x 5” base from avocado card. Cut panel of Healthy Hello Soup PP and adhere to card. Cut strip of Healthy Hello Soup PP and adhere. Cut about 12-15" of cord, wrap in circle around fingers, and adhere to card. 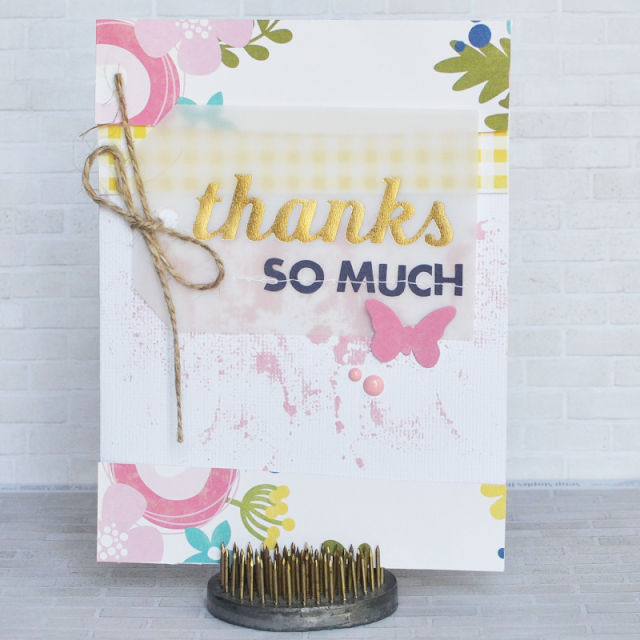 Adhere sticker sentiment with dimensional tape. Adhere sequins, followed by gems. Today we start the sneak peeks of our fun Summer releases! If you liked our Winter releases, you are going to LOVE our Summer releases! First up is a paper collection that has a little bit of something for everyone. 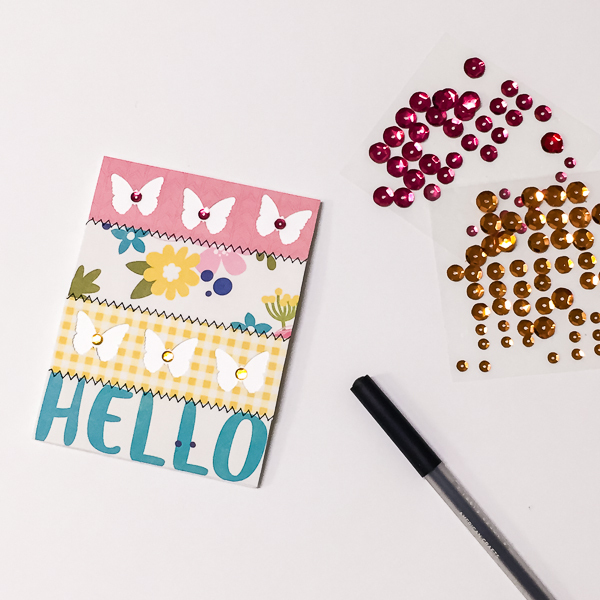 A great mix of paper designs and embellishments that are perfect for scrapbooking and cardmaking! Did you notice anything new? Anything new again? For the new, how about glassine bags that are perfectly sized to hold a gift card on the front of a card! And, don't miss the painted wood veneers!!! And new again? -- Corrugated letters are back in a new font and new icons! I love the smiley faces! I got to play a little with the papers, stickers and die-cuts to create a set of cards. Want a chance to win this collection before you can buy it?! Just leave a comment on the Jillibean Soup blog and we will select a winner Friday, July 15th. We have other great products to share with you! Make sure you keep checking back! Today's card features some more goodies from Jillibean Soup's Healthy Hello Soup collection: patterned papers and wood veneers. Make a 4.25” x 5.5” base from blue cardstock and dry emboss front with Woven embossing folder. Cut PP sentiment panel and wrap with rick-rack. Color butterfly and flower with Copic and adhere. Adhere enamel sequins followed by gems.